Recently i've seen drastic changes in my skin, from constantly getting confused as to why I kept getting these annoyingggg little spots as well as redness on my cheeks.. this year I decided I wanted to find the answer to it and try to make some changes. As well as changing my skincare routine and my diet a little, I've been keeping track of the little things that have really helped my skin out. So here are my 5 quick little skincare tips I now live by, which has truly made my skin so much better, leaving it clear, smooth and glowing 99 percent of the time! I've always been someone who is just too lazy to take their makeup off at the end of the day, and want to do it as quickly and easily as possible. However, face wipes aren't the answer! Everyone seems to have the idea that face wipes are the least time consuming way to get that s*** off your face as quickly as possible at the end of the night when all you want to do is sleep.. wrongggg. Not only were they so harsh on my skin, making it easier to get wrinkles as a result, but they also never actually got my makeup off properly! I have switched between most makeup wipe brands, from using Simple, to Nivea, high end to low end and all sorts.. none got everything off! I would end up having to use about 4 or 5 wipes until it looked like the wipes was clean when I wiped my face. I do admit, I wear quite a bit of makeup a lot of the time, but still it turned out to be not so quick! Since the start of the year I've changed the way I look after my skin using cotton pads and micellar water instead.. being so much more gentle on my skin (especially my eyes! ), as well as quicker! These Oval Cotton Wool Pads from Superdrug, are genuinely the best cotton pads I have ever used! Being double as thick and bigger than the usual, I can get a full coverage extreme makeup look completely off with two pads- absolute lifesavers! These cotton pads make taking your makeup off so much easier. Having a good skincare routine is vital to look after your skin, know what works for your skin and what doesn't. I've been loving two products recently for taking my makeup off; first is the Garnier Micellar Cleansing Water, it is so easy, making taking my makeup off the simplest thing with no hassle or extra time taken, making it a two minute job. My other fav is The Body Shop's Camomile Cleaning Butter, the most gentle, creamy, literally melt your makeup off your face makeup remover. Now anyone who knows me knows I am a little obsessed with water. Is it a bad thing? Maybe! It makes my handbag so much heavier.. But does it make my skin better? -Yesssss! I've always had a weird thing about water, carrying minimum of two bottles in my handbag everywhere I go, strange I know but can't live without it (literally!). Recently I've been making a conscious effort, drinking a lot more and notice my skin is so much clearer, smoother and a lot more glowy! Yes, it may be a pain having two go to the toilet a little more often, but the benefits on your skin is unreal and would totally recommend anymore who wants a quick skin 'pick me up' to just drink more water! I see so many people who are constantly touching their face.. No wonder you get dodgy skin! The amount of things you touch every day that hundreds of other people have also touched is crazy! Avoid touching your face and none of those unknown germs will go anywhere near ya! As well as this clean your phone screen! So many germs are transferred on your phone screen and when you put your phone up to your ear to call someone they all go in your face! Your skin needs to breathe every once in a while, we all love a good full face of makeup (well at least I certainly do! ), but every so often your skin needs a break and a day or two to just breathe and do its own thing without a layer of prettiness caked on top! I don't wear makeup, or wear the absolute minimal, for at least one day a week, two if i'm lucky! This gives your skin time to recharge and do its own thing for a day or two. Finally, a big impact to the look of your skin can be your stress levels. 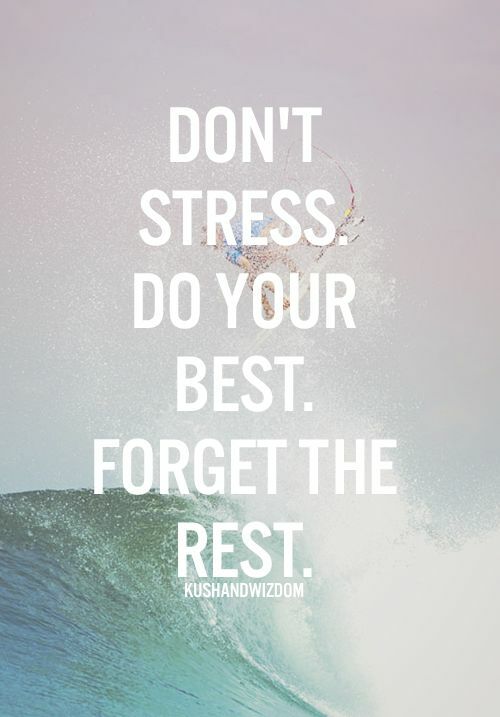 Lots of stress can lead to stress spots; we've all had them.. from last minute exam stress to worrying too much in general! All I can say is theres no point in stressing.. work hard, do your best, do everything the best you can possibly do it, and thats it! No need to stress most the time. Life's gonna happen and things are going to happen whether you want them to or not, so enjoy the ride.